"N. Korean-Japanese Team Finds Koguryo Tomb in Pyongyang," The Chosun Ilbo, Aug 15, 2010‎. Jim Eagles, "Silk Road: Tracing the path of ancient footsteps," New Zealand Herald, August 11, 2010. Edward Wong, "China Seizes on a Dark Chapter for Tibet," New York Times, August 9, 2010. Razib Khan, "Empires of the Word & anti-Babel," Discovery Magazine blog, August 16, 2010. 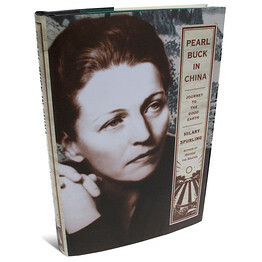 "Pearl Buck in China by Hilary Spurling," New Yorker, August 16, 2010.